If you want to increase your productivity,try using automation software. There are several repetitive functions which can be handled with these tools. Whether it is customer management, or how you run processes on your computer, these tools are designed to make regular daily activities much easier. With these tools you can send out emails, launch programs, perform calendar tasks, and a lot more without your direct input. 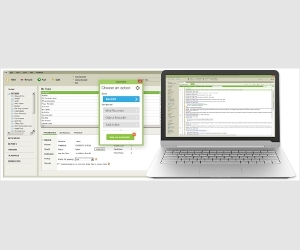 Automation software that allows you to automate various processes within your enterprise. The script-free technology allows you to scale your business with ease. You can focus on adding value to your business rather than manually running individual processes every day. Record and edit processes and tasks, then run them from anywhere. 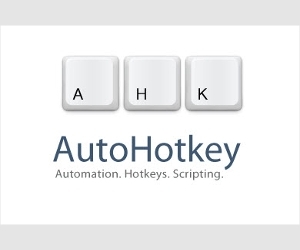 Record and automate your keystrokes and mouse clicks on your Windows computer with this automation tool. 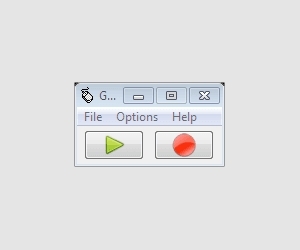 Simply hit record to start recording and hit the replay button to see the recorded sequence in action. As a security precaution, save the script in a different location, when you record sensitive account-related actions such as user IDs and passwords. 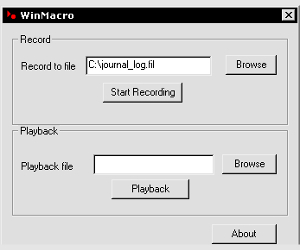 A simple automation macro recorder for Windows which plays actions that you perform on your desktop by employing hooks to record said actions. The actions recorded are global and not application-specific. You can record daily activities and have the tool replay them for you every day, saving you a lot of time, which you can use to do other tasks. This is a free automation tool that is quite simple to use. Have it record and replay tasks on your computer whenever you want it to. When you have repetitive tasks that you do every day, in the same manner, this tool helps you do this automatically at the click of your mouse. Record actions that you do for your customers using this versatile automation software. Create segments for people in a similar group and have it repeat the actions with ease. See how people interact with you by creating user profiles. 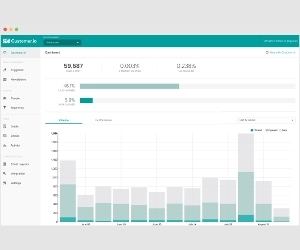 Measure success using the analytics tool. This is a powerful automation tool for your business. This is an automation tool that is used for marketing purposes. Automate your communications with your contacts and prospects. You can automate the sending of emails, newsletters, offers and a lot more using this tool. Create groups of customers depending on their needs, so that you send targeted communications to them. This is a free, open source automation tool that you use to record the actions of your mouse and keystrokes. The tool automatically records your mouse movements, instead of asking you to input coordinates. Save several different macros, depending on the particular action that you are performing, and then upload them whenever you need to use them. This automation software comes with advanced macro recording tools for easy automation of your daily tasks. It has an easy-to-follow interface and comes with a wide range of macro triggering options. 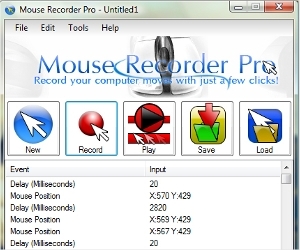 Advanced recording of your mouse and keyboard actions has never been easier; you will get more done with less effort and time. 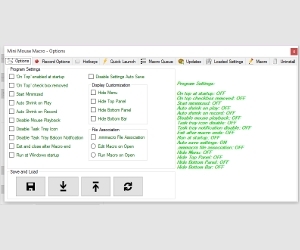 This is a free automation tool that you use to record your mouse and keyboard input. Schedule the time when the action should be triggered and watch the program in action. For further development, you can edit each macro to add more functions. It is small and easy to use. When you think of automation software, you immediately think of those that run on Windows or Mac OSX. However, there are tools that run on iOS, Android, Ubuntu, Linux and other systems. 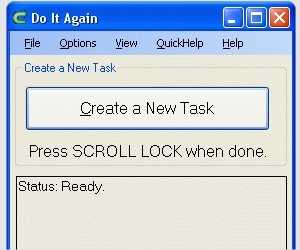 These tools enable you to automate your tasks if you are not using Windows and Mac computers. A powerful automation tool for Ubuntu, which allows you to launch programs, record tasks, among many other features. Activate and mute your speakers when you launch and close your audio files. Use the indicator applet to run any rule that you want at any time; real automation power at your fingertips. 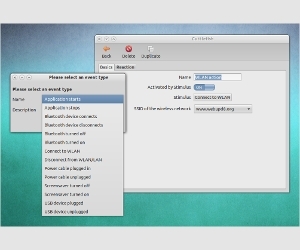 This is a free automation software for easy automation of tasks in Linux. It can record keystrokes, mouse clicks and many other actions on your computer. It has the ability to launch a program, perform the repetitive tasks and then close it at the end; all without writing a single line of code. 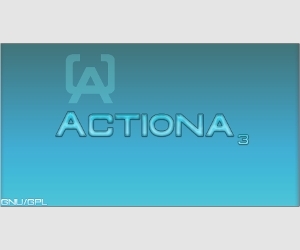 This is an automation tool for automating various actions on your Android Smartphone or Tablet. 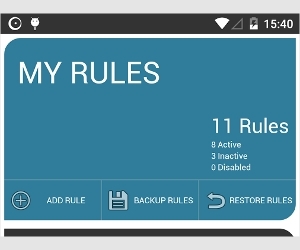 You can set a series of actions that you would like to perform on your phone whenever you want. Each behavior is controlled by trigger actions which you set. It also comes in multi-language mode. An automation application that works on all mobile phone operating systems, including iOS 8/9 and above. The Lua Scripts allow for the recording of human touch and pressing actions on the mobile phone. Simply record your actions and then play them back. This is a great way of automating your daily tasks when you are on the move. 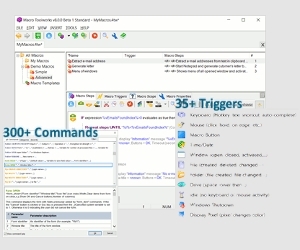 This is a powerful, feature-rich automation tool for Windows, which allows you to record practically any actions in all Windows applications. You can use the macro recorder to record your actions or write/edit the macros by hand. It is one of the few that allow you to record a joystick in addition to the mouse and keyboard. Automation Software is used to record and replay repetitive tasks on your computer or mobile device. Basically, you can automate your marketing, web management, and computer processes with these tools. If you need to update your website, simply automate the FTP functions from a particular folder on your computer. The website will be updated at the scheduled time. These tools improve productivity by doing away with the regular daily tasks, allowing you to concentrate on other tasks. You should remember to keep your macros in a secure location to protect your proprietary and personal information. All automation tools come with a simple installer which you launch to install. For mobile devices, you simply go to the relevant download site and let the tool be installed automatically by your operating system. 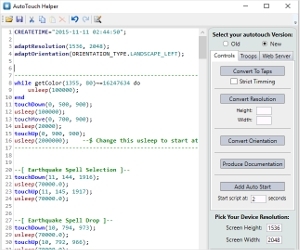 There is no need to tweak the settings through coding – All tasks can be set from the easy-to-follow user interface. Automation software can be used for various purposes. Apart from doing regular tasks on your computer, the tools can send out marketing information to improve your sales funnel. You can also use the tools to launch calendar events and other applications at the scheduled times. Productivity is important for any online or brick-and-mortar venture. You need these tools if you want to see an increase in your efficiency and effectiveness. Be clear about the functions that you would like the tool to perform before you decide on which one to install.